LONELY ARE THE BRAVE ——-“Have you ever noticed how many fences they’re getting to be? And the signs they got on them: no hunting, no hiking, no admission, no trespassing, private property, closed area, start moving, go away, get lost, drop dead! 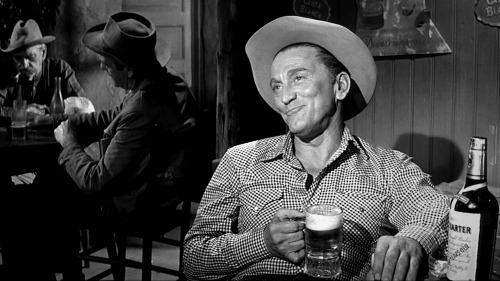 Do you know what I mean?” This was the favorite film role of its star, Kirk Douglas; a perceptive, poignant, haunting little drama taken from Edward Abbey’s novel, “The Brave Cowboy”. Adapted by Dalton Trumbo, who’d done a splendid job for Douglas writing the screenplay of Spartacus, repaying the iconoclastic actor for giving him back his ‘name’ after years of blacklisting. Trumbo fronted writing the superb 1958 western Cowboy, so he knew his way around saddle territory, and with direction from David Miller, what comes out of their efforts here is considered by many a modern western classic. Kirk plays an amiably footloose cowboy, trapped in the modern age (this came out in 1962), fighting with its restrictions and regulations as best he can. 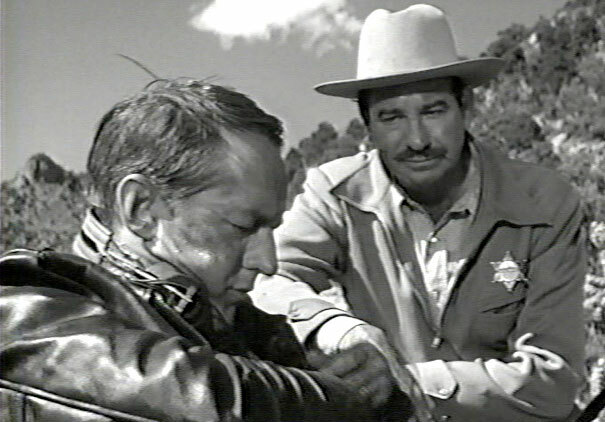 Breaking into a New Mexican jail, to get an imprisoned buddy out, Douglas finds that his friend would rather serve his time than make a break. Escaping alone, Douglas is pursued by humane sheriff Walter Matthau and brutal deputy George Kennedy. 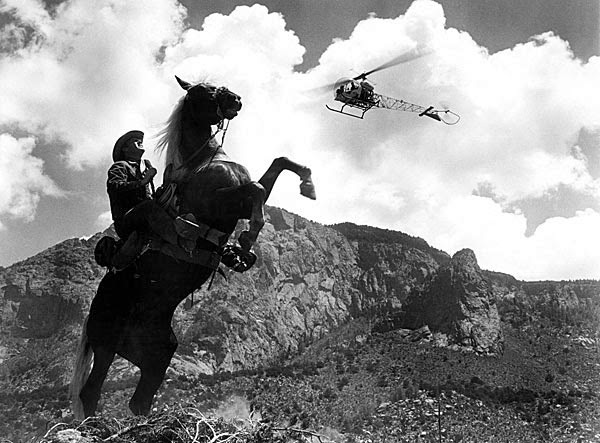 With his horse, his Winchester and his wits, the loner faces modern communications, helicopters and the organized forces of the legal system, headed to a fateful conclusion. The superb script scores hits on the loss of individuality and the fear of dehumanization, and Douglas gives one of his best performances, quiet and likeable. Well paced, the movie has fine B&W camerawork from Philip Lathrop and an early score from Jerry Goldsmith, suggested by an impressed Alfred Newman (a great passing of the baton). Matthau and Kennedy are both very good. Other roles in the 107 minutes are filled by Gena Rowlands, Michael Kane, William Schallert, Carroll O’Connor, Karl Swenson, Bill Bixby, Harry Lauter, and–memorably— Bill Raisch, as the remorseless one-armed bully who pushes Douglas into a vicious barroom fight. It helped land the actor the role he’d ever be known for, as the bane of ‘Dr.Richard Kimble’ on The Fugitive. Domestically, the film grossed $2,800,000, ranking #80 for the year.